money | Badudets Everything Nice! 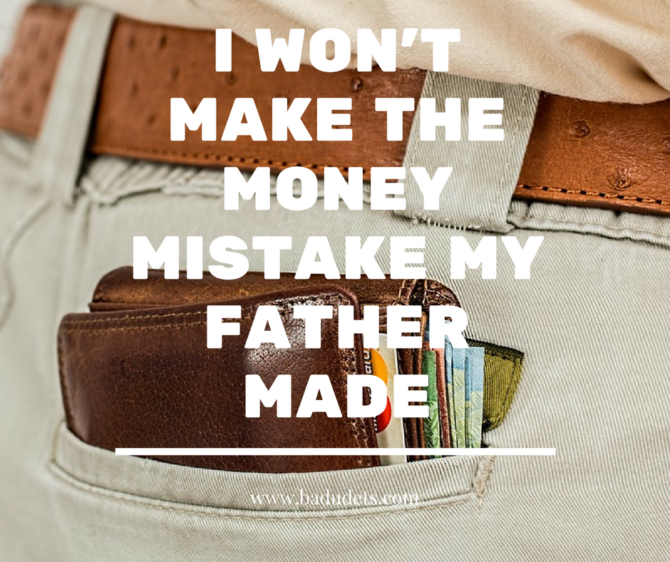 Since last Sunday was Father’s Day, I just want to share what I learned from my father or from his mistake on how he handled his money. Papa was a seafarer, he was the main man in the engine department. With his position, a lot of our relatives and family friends thought that we have a lot of money. Sure, Papa and Nanay have acquired some properties in the province, jewelries, and have some money in the bank. But are these enough to support them throughout their retirement? Unfortunately not. The interest in the bank is very small that when you factor in inflation, lugi ka pa. I can’t blame my father though because a lot of their investments were just simply offered to them by relatives and friends. They bought them out of goodwill and pakikisama not thinking of the market value in the future. For the past month, I’ve been checking out online websites of different banks to compare which bank gives the highest interest rates. When I was still single, I started out with BPI and when Jeff and I got married, we opened another account with BDO. Although we’re happy with both banks, it won’t hurt to look for other options that can give higher rates especially for a time deposit account. I’m eyeing the Perk Dollar Time Deposit of Asiatrust Bank which states that money can earn as much as 4.75% p.a. This is only a modest way to grow our money but at least, we get to save for our retirement early on. It may not be as high yielding as having a gold IRA, but as long as the money is safe, we’re gonna let it stay there for the meantime.